In today’s fast-paced business environment, it can be quite a challenge to excel in your position. If you’re a manager yourself, you have the added task of managing your team. It’s so easy to get caught up in the maze of bureaucracy and get buried by the mountains of paperwork. If you do succeed in getting your team of employees to meet or exceed their stats, get all their performance evaluations submitted accurately and on time, and simultaneously meet your own goals while pleasing your boss, you should be golden. Right? Unfortunately, there are so many managers who believe just that. They are the ones who are missing the greatest opportunity of all — the chance to manage their boss. It isn’t easy, and the thought of it can be intimidating, but with courage and emotional maturity (hopefully on the part of both parties), it can be done. What does managing your boss look like? Understand that in this business relationship, you both have needs. You want to do a good job, and you want to be appreciated for it. You need some tangible proof that you are valuable to the company, be it praise, a promotion, a raise or perhaps a simple thank you. You’re keenly aware of all the things you need. Have you ever stopped to think about what your boss needs? Here is where a little empathy can go a long way. Spend some time thinking about work from your boss’s perspective. What are her organizational goals and what deadlines does she have to meet? Is her annual raise dependent on your team meeting its goals? What problems does she face in getting her job done? Now that you have a different perspective on the situation, what could you do to make your boss’s job easier? Instead of walking into her office with a problem you want her to solve, what if you entered with a viable solution already in hand? How about consistently demonstrating your trustworthiness? Every time you make her life easier, your worth goes up a notch. This doesn’t mean doing her job for her, but anything you can contribute will be appreciated. Don’t use your boss as a constant sounding board for your low-level problems. You definitely don’t want to get branded as a whiner or a time waster. If you genuinely need help with a business-related issue that you have tried unsuccessfully to solve yourself and you have used your other resources to no avail, then yes, ask for help from your boss. If you have honest, direct and relevant feedback to deliver to your boss, don’t put it off. This is where courage comes in. If you are fearful of some type of retribution, you’ll need to work on managing your negative emotions before meeting with her. Make sure you don’t have any hidden agendas or ulterior motives. Timing is everything. Don’t expect to have a productive feedback conversation when your boss is hungry, un-caffeinated or on a Friday as she’s trying to walk out the door. Give it some thought. Is it budget time for the department or company? Is she working on the end-of-quarter reports that are due tomorrow? Pick the time when you have the best chance for a positive experience for both of you. This conversation should be respectful, focused and truthful. Take your own ego out of the equation because it doesn’t belong here. Stick with the facts and be brief. The important thing to remember when managing your boss is to always seek a positive outcome. 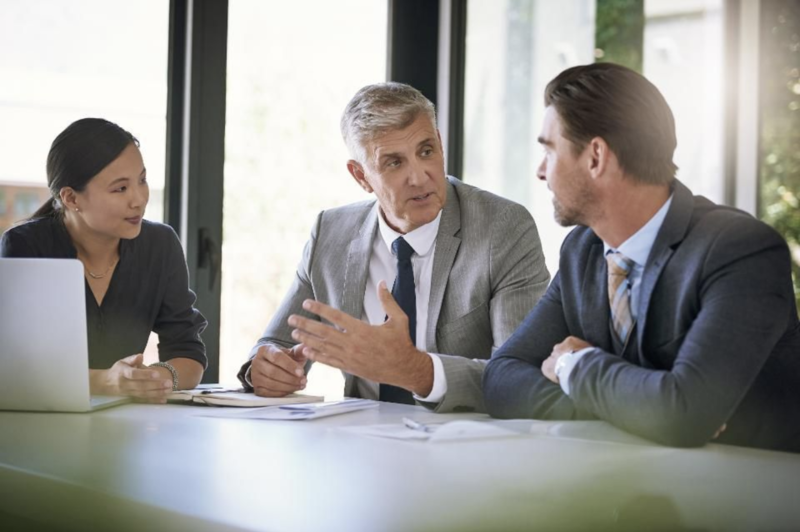 You both have the same goals: to solve problems, improve processes, improve the bottom line and ultimately improve the company by bolstering its success.